Google has surprised us all with an early developer preview for its next operating system, currently going under the codename Android N, so here’s 5 things you can expect to find in it. The Android N Developer preview was not supposed to launch yet, or, at least, that’s what you would say normally as Google tends to release its developer preview after it’s held its major I/O developer conference. But in a blog post from Google’s VP of engineering for Android, Ireland’s Dave Burke, we’re being told that we’re getting a really early edition of the operating system (OS) both for the sake of getting early developmental feedback, as well as giving the manufacturers a head start. Launching today (10 March), the Android N preview will only be available for a look through on Google’s own Nexus devices, however, there are some new elements of this build that are worth noting. Okay, so it might not be Google’s intentions to make this something for the average consumer to try out, but Android N’s preview has, for the first time, been released as an open update for people to sign up to online. However, Google stresses that this build “is for developers only and not intended for daily use or consumer use”, but there’s nothing to stop you having a peak if you’re the curious type. 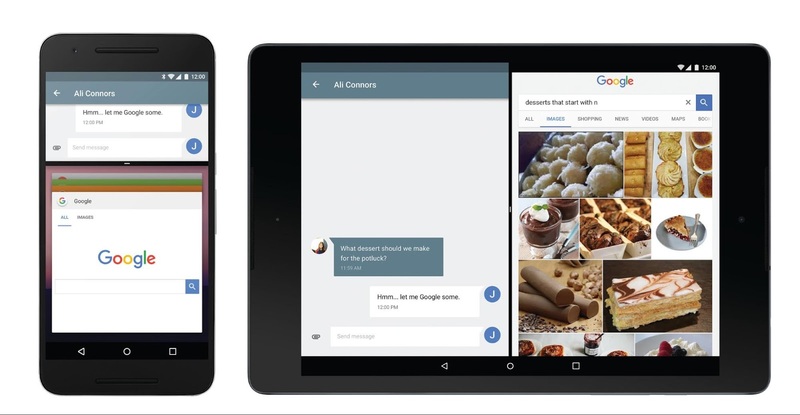 By some distance, the biggest change to N will be the introduction of split-screen capabilities, which brings it in line with Apple’s update to iOS 9 for its iPad range, but Google expands it to phones, too. Developers and, therefore, the consumer that will eventually get their hands on it, will be able to run two apps at the same time that will support switching from landscape to portrait mode. There’s also support for picture-in-picture mode to allow someone to shrink a video to one corner of the screen and continue working on it if they want. Notifications is getting a major update with N, too, as Google says that N will allow someone to respond to incoming message notifications quickly without leaving the notification shade, much like it had brought in with Android Wear. There’s also ‘bundled notifications’ that will allow app developers to put multiple notifications into one notification slot that can then be expanded for greater detail. Android N’s battery efficiency looks like it’s about to get a major upgrade as well, building on what it achieved with Marshmallow and its Doze feature. Brought in originally to save on battery once the screen is left stationary by the user, Google now says that this will be expanded to switch on once the phone’s screen is turned off. It’s also investing more in Project Svelte, an effort to reduce the memory needs of Android so that it can run on a much broader range of devices. With Android’s Jack compiler, you can now use many popular Java 8 language features, including lambdas and more, on Android versions as far back as Gingerbread. That’s pretty much all we know for now, except for some released screenshots, so Android developers should check out Google’s sign-up page to see about getting this early developer preview, with more features expected to be announced at I/O this May.